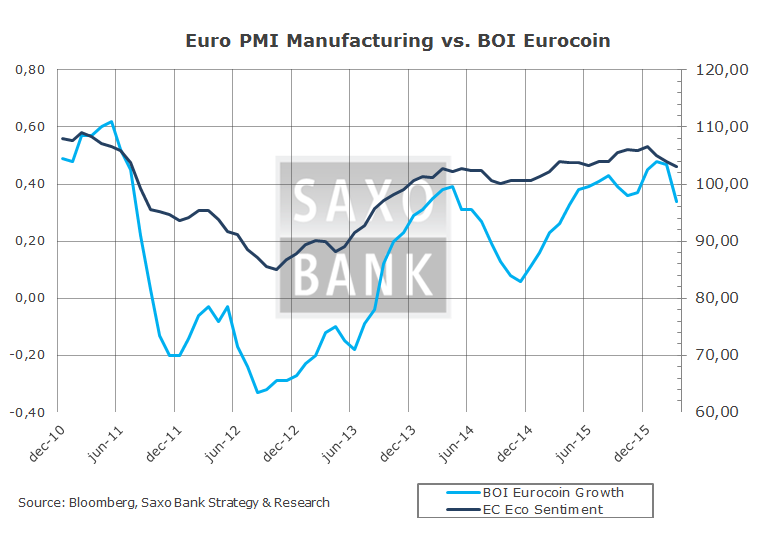 European leading growth is turning significant down…. 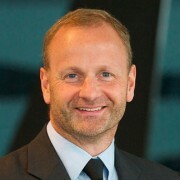 Steen Jakobsen, chief economist at Danish investment bank Saxo Bank, meanwhile believes that Schaueble is in his « full right » to criticize the ECB and central bank polices – whether from the Federal Reserve or the Bank of England – were always going to increase inequality with the rich getting richer and poor getting poorer. « Clearly Schaeuble’s point is merely there is a time for easy money, but there should also be a time to stop – Any economy can’t be in 24/7/365 state of emergency just because it fits the narrative of central bankers and their outlook on the world, » he told CNBC via email. I find it extremely concerning that markets and media tends to think that it’s “bad form” or “anti constitutional” to critize the ECB – C’Mon! A democracy is about the right and even obligations to disagree – I find it more telling that markets and central banks circles the wagon and try to make Germany looks bad – this is EXACTLY what we need – an open discussion where admit failure is not only needed but required for us to move the European and global economy ahead! 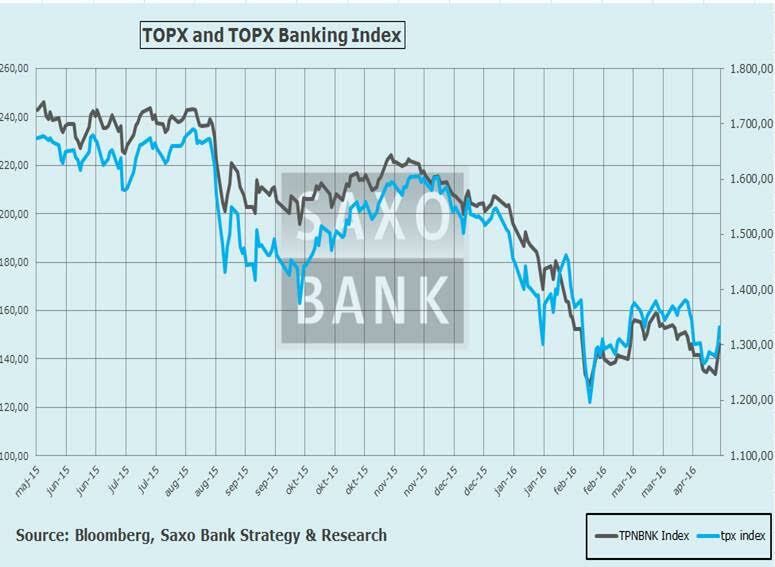 Also… Spreads Germany vs. Club Med shows how the European “unity” have cracks in the wall – both Italy and Portugal have EXTREMELY weak banks – I will watch this closely during what I expect will be a very volatile summer…. I remain of the view that Japan leads ALL of central banks… Their end of January NIRP and lack of result is now forcing Abe into a very difficult summer with Upper House election where he will come out much weaker – I would not be surprised to see Abe gone by end of year as he never was particular popular but respected for weaker JPY and rising Nikkei – now both have reversed making Abenomics worse.. (as it should…)…. 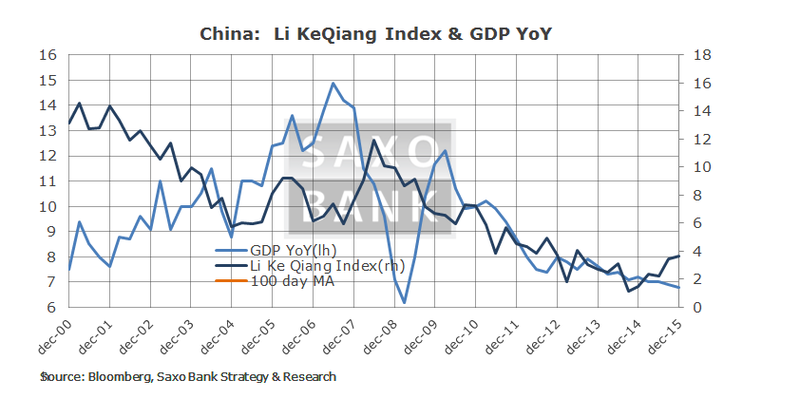 FX: Medium and long terms trends: Weaker US$, stronger JPY……. Equity: In very broad trading range: 1800-2150 – break is coming.. but which side? FI: 2nd best asset – new low in “policy rates” forces 5 and 10Y in DM FI to new lows..
Com: Gold/Silver remains go to asset – highest possible allocation to commodity presently…. 30%…. 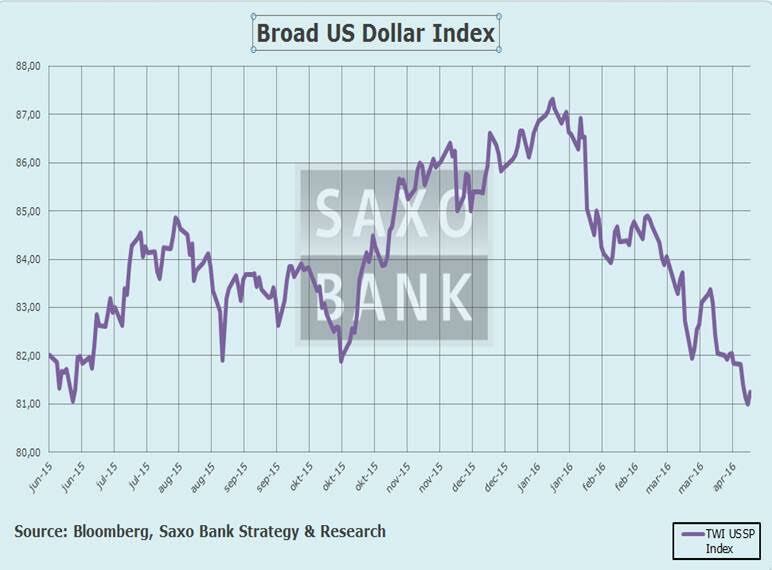 – Spreads Germany vs. Club Med..
Macro Digest : The coming US Dollar funding crisis? I am sorry but it is rather a nuclear weapon..